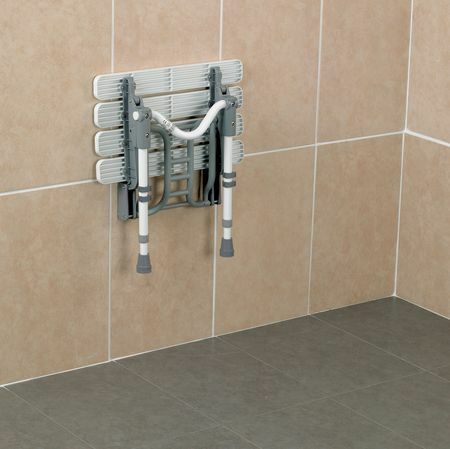 Wall Mounted Slatted Shower Seat With Non Slip Feet. The seat with horseshoe cut-out is mounted on a corrosion resistant aluminium, stainless steel and plastic frame and requires fixing to the wall at a suitable height. 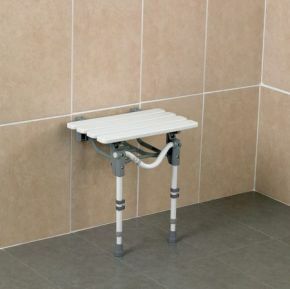 Nice shower seat , quick delivery .